In contrast to simply asking for referrals, there are methods of communicating with clients that will inspire them to refer over the long term. And, although clients are often willing to refer, the responsibility lies on the company to encourage them to do so. One way is with sustained communication designed to initiate the referral mindset while also making it easy for them to refer their friends and family. 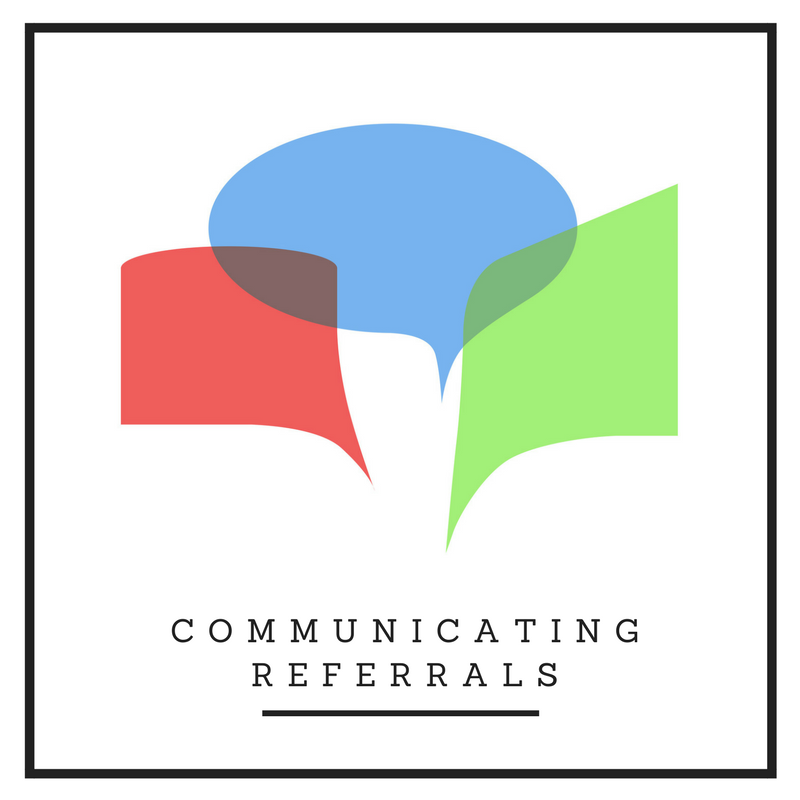 In the case of referrals, it’s all about communicating that you’re genuinely interested in helping your clients and their family and friends. Now of course you have an agenda: you want that referral! But it’s vitally important that every time you contact your client, you communicate the tone of authentically wanting to help them out, any way you can. This way, each touch-point is a personal note from a friend rather than the fifth spam email they’d received that day. It stands to reason they will respond much more favorably to note from a friend! The combination of words you choose when communicating with your clients will have a large impact on the number of referrals being sent your way. The goal should be to effectively encourage clients to refer you, without coming across overbearing or self-gratifying. This communication should be applied like perfume, light enough not to overpower the senses, yet strong enough to catch a whiff fleeting in breeze. The overarching theme is that referrals are encouraged because it will allow you to further help the client and their loved ones. Again, this is important as it will target the underlying reasons why your clients are referring you. Below are some examples of how referral centric language can be used in everyday contact with your clients. The underlined phrases highlight at least one of the elements addressed above. We are thrilled to welcome you to [Company Name]! I truly enjoy sharing my experience and helping others. If your friends and family ever have questions or need advice have them call me directly. I’ll take extra care. Welcome to [Company Name]! We thank you for your patronage and look forward to establishing a lasting relationship built on trust. We’re confident you’ll see why our customers are eager to recommend us to others. From all of us at [Company Name], welcome! We’re thrilled to have you with us. We were sure to thank [Referrer First Name] for sending you our way too. We look forward to providing you with the best service available. Give us a call if you ever need anything. Just a quick note to say that your relationship with us means a lot. Don’t hesitate to give us a call if you or one of your friends ever have any questions. Thanks for becoming a part of the [Company Name] family. I would like to take this opportunity to welcome you to [Company Name]. It is our pleasure to have you as a client and we look forward to a lasting relationship. At [Company Name] we go out of our way to provide friendly, personal service to our clients. We offer a full range of products and will continually work with you so that you have the most fitting coverage for you and your family. It is our goal to manage your risk and help you grow and preserve your wealth. We are completely customer focused and our staff is here to answer any questions you may have. Please do not hesitate to contact us regarding your account, we are here to help! Having this content residing in customer’s inbox will make it easy for them to pick up their smartphone and forward your info onto others. It provides all the basics on your products and services, links for those that like to dig deeper, and contact information to find you. What’s more, after it is forwarded it will be conveniently sitting in the prospect’s inbox as a reminder the next day when they are in buying-mode. Sometimes there’s no substitute for picking up the phone and calling your clients. An effective referral strategy often includes making a handful of calls each day to your most loyal promoters (those that have already indicated they are willing to refer you to others). During the call tell your client that you’re simply checking in on them and appreciate their loyalty. More often than not, this out-of-the-blue phone call will tip the scales and inspire your promoters to begin actively referring you to their friends and family. Proactively collecting testimonials has shown, among other things, to amplify client referrals. Written testimonials provide an opportunity for clients to formulate a positive opinion of your business and then openly express it to others. Now that the client has recommended you once it’s that much easier to do so again when the opportunity presents itself. Don’t forget to ask the following question every time a new prospect or client comes your way: “Who was it that referred you to us? We’d like to send them a thank you.” This simple question will set the referral mindset and encourage future referrals right from the get-go. Social media can be a useful tool to maximize the exposure of written testimonials and to reach new audiences via your existing clients. If used correctly, social media can showcase your company’s personality and allow you to communicate with clients and prospects on a personal level. Remain subtle in your approach, meaning your audience shouldn’t feel you’re using social media merely as a tool to snag more business. Rather, you’re using it to celebrate the relationships that you have with your clients and the success you’ve had working with them. This type of communication will spread organically over social media and attract the attention of new prospects. Sharing experiences you’ve had with your clients is a good starting point. Perhaps you’ve just helped a client find their dream house. Ask that you can share a photo and brief story on Facebook. Or maybe you recently helped a client navigate through a complicated insurance claim. Consider using this success story to springboard a discussion of how homeowners should reevaluate their existing policies. Maximize your best written testimonials by encouraging your clients to share them on social media. Testimonials are always better coming from the horse’s mouth, so to speak (or hoof assuming a horse can type). Not only will the testimonials appear more credible this way, they’ll also reach a larger organic audience on most social media platforms. Consider also sharing positive testimonials on your social media pages, namely, Facebook and Twitter. Depending on the platform you may also tag the client that provided the referral. Facebook doesn’t currently allow you to tag people from your business page. Twitter, on the other hand, is a great way of connecting your promoters to your company profile. While doing so acknowledge the referral source and thank them for their commitment to your business. The example below demonstrates how witter and Facebook are used to highlight existing clients while their positive recommendations with your followers. Thank you for sharing such a useful post with us. It’s a nice idea that how to increase client referrals for your business or profession. Online advertising is the perfect way to get clients for any business betterment.